By the numbers: 20 CDs featuring more than 167 acts performing more than 500 songs, clocking in at more than 24 hours of recordings packaged in a heavy-duty box with a deeply detailed and spectacularly illustrated 224 page book, altogether weighing in at a healthy 9 pounds. But that’s statistics; the heart and soul of this set is the revolutionary Shreveport radio show, nicknamed the “The Cradle of the Stars,” that aired weekly from 1948 to 1960. 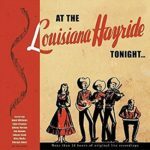 In contrast to Nashville’s Grand Ole Opry, the Hayride hitched its wagon to an ever developing set of acts that they discovered, nurtured into stardom and often lost to the Opry. Among those the Hayride helped boost to fame were Hank Williams, Webb Pierce, Faron Young, Kitty Wells, Jim Reeves, Slim Whitman, Johnny Horton and Elvis Presley. Williams and Presley provide the bookends to the Hayride’s most influential period, with Williams having been the show’s first superstar, and Presley’s rise paralleling the Hayride’s decline. The box set shows off the transition between the two, detailing the show’s twelve year run with a constantly evolving lineup of local, regional and national acts whose growth and innovation helped shape popular music in the ‘40s and ‘50s. Beyond the music, the show’s continuous, unrehearsed flow of artists, comedians, ads and announcers created a tapestry of entertainment that really filled a Saturday night. The recordings sourced here were cut for radio distribution and proof-of-advertising to sponsors, and without aspiration for commercial release, they capture the spontaneity of a show performed for a live audience rather than a recorder. A set this massive has to be treated more as a pantry than a meal. It’s something from which listeners can draw upon for years, and though a once-through inks a picture of the Hayride’s arc, individual discs and performances play nicely in isolation. The set opens with pre-Hayride material from the show’s radio outlet, KWKH, providing an historical record of the station’s 1930s battle for its frequency, early broadcast continuity, and studio recordings waxed for commercial release. KWKH’s founder, William Kennon Henderson, Jr., was a colorful, self-aggrandizing iconoclast whose personal broadcasts railed against the then newly-formed Federal Regulatory Commission, chain stores and other stations intruding on his channel. Henderson had sold KWKH by the time the Hayride began broadcasting in 1948, but the earlier material highlights the wild west roots from which radio was still emerging. With recorded music growing in popularity, radio stations performed double duty as broadcast outlets and recording studios. The Hayride and its peer barn dances became tastemakers as their live shows promoted the artists, their records and their tour dates. The show’s announcers even call upon the listeners to inquire about bringing a Hayride tour stop to their hometown, and it’s easy to imagine many taking the opportunity to drop their “one cent postcard” in the mail for details. The announcers choreograph each show, introducing and conversing with the musicians as they’re brought on to play one or two songs before giving way to the next act. The set’s producers have deftly selected long, multi-artist segments that retain the continuity of intros, music, comedy and advertisements intact. Listeners will get a feel for the Hayride’s complete evening of entertainment, and how the program evolved over the years. In particular, the collection reveals the Hayride’s uncanny ability to discover and develop new talent (in part, a defense against the continual flow of their stars from Shreveport to Nashville) as the show’s constantly evolving lineup introduced and few performers into stars. The slow churn of the Hayride’s cast turns out to have been one of its charms, and the intertwining of stars, soon-to-be-stars and talented performers who failed to catch on gives this set a widescreen perspective that’s often elided in reissue material. There are numerous hits from famous performers, but the broader context in which this collection sets them is especially interesting. The earliest live program included here, from August 1948, features a 24-year-old Hank Williams, who’d debuted on the country chart the previous year with “Move It On Over” and wouldn’t hit #1 (with “Lovesick Blues”) until the following year. Williams’ rising profile was his ticket to Nashville, but after being fired by the Opry in 1952, he returned to the Hayride, where he performed “Jambalaya (on the Bayou)” to a surprised and enthusiastic audience. Williams would die only three months after his return to the Hayride, and it would be more than a year until Elvis debuted in 1954. Presley converses shyly with the announcer in his first appearance, but rockets off the stage to the screams of the audience (and the immortal announcement “Elvis has left the building) in his 1956 finale. Elvis’ growing fame and ensuing tour commitments often kept him from the Hayride’s stage, so the show sought to satisfy its growing contingent of teenage fans by booking Carl Perkins, Johnny Cash, Roy Orbison in his place. But even the Hayride’s legendary nose for talent couldn’t help the show stay afloat amid the confluence of television, rock ‘n’ roll and the growing importance of record sales (and the radio DJ’s who spun them) to a teenage audience. By 1960, the Hayride could no longer hold stars in its regular cast, draw media attention or fill an auditorium. The set’s massive book (so large and heavy, that it’s actually difficult to handle) includes a history of the Hayride by Colin Escott, a detailed timeline of show casts, an essay by Margaret and Arthur Warwick, detailed show and artist notes by Martin Hawkins, photos, and record label and promotional ephemera reproductions. Escott’s liner notes are knowledgeable and entertaining, though a bit prickly in unraveling the grandiosity of Horace Logan’s recollections. He’s no doubt correct in calling out many of Logan’s stories as self-aggrandizing fabrications, but the repetition of his derision gets tiresome. Hawkins’ notes offer museum-quality details about the individual show segments that help the listener place the artists, songs and performances in both historical and Hayride context. Bear Family’s lavish three CD, two book set collects material from two live tribute shows, featuring performances by Arlo Guthrie, Pete Seeger, Judy Collins, Bob Dylan (his first appearance after his motorcycle accident), Odetta, Joan Baez, Richie Havens, Jack Elliott, Country Joe McDonald, Tom Paxton and Earl Robinson, along with narration from actors Robert Ryan, Will Geer and Peter Fonda. The first tribute included an afternoon/evening pair of concerts staged at Carnegie Hall in 1968, the second tribute was staged at the Hollywood Bowl in 1970. Material from both tributes was released in edited, collated and resequenced form on a pair of 1972 LPs, Part 1 on Columbia and Part 2 on Warner Brothers, and eventually reissued on CD and MP3. In honor of the fiftieth anniversary of Guthrie’s passing, Bear Family has gathered all of the extant concert materials – including the entire Hollywood Bowl concert – to recreate the original, scripted concerts by adding back narration and musical performances that were elided from the LPs, and adding in interview clips that shed light on Guthrie and the productions. The three CDs are fitted into the back cover of a 160-page hardbound book that overflows with photos, essays, press clippings, remembrances, artist and production staff biographies, ephemera, notes on production, recording and filming, a discography, a bibliography and a filmography. The book is housed in a heavy-duty slipcase alongside a reproduction of the 1972 volume, The TRO Woody Guthrie Concert Book, which itself includes photos, sheet music, and song notes from Guthrie and Millard Lampell. All together, the package weighs in at over five pounds! Lampell’s script for the shows threads together Guthrie’s songs and autobiographical writing, Lampell’s script tells Guthrie’s story through the people he met, the stories he sang and the musicians he influenced. Highlights of the New York shows include Will Geer’s knowing tone in describing his longtime comrade, the then-recently minted starlight of Arlo Guthrie shining on his father’s “Oklahoma Hills,” the sound of Pete Seeger’s banjo and his physical embodiment of the folk movement’s hard-fought roots, and Tom Paxton’s mournful “Pastures of Plenty.” Dylan’s band-based triptych stands apart from the more traditional folk arrangements of his castmates, and shows the directions he’d been developing during his eighteen month hiatus. For all the camaraderie and good feelings of the Carnegie shows, they weren’t without controversy, as Phil Ochs’ snub led to the deeply bitter feelings recounted in his interview. Ochs’ was particularly critical of Judy Collins and Richie Havens, the latter of whom had only then recently released his debut and performed at Woodstock. But Ochs’ recriminations were misplaced, as both artists commune with Guthrie’s legacy; Collins’ embrace of “Plane Wreck At Los Gatos (Deportee)” is tear inducing, and Havens’ slow, rhythmic performance of “Vigilante Man” is hypnotic. The show closed with the cast singing Guthrie’s alternate national anthem, “This Land is Your Land,” sending the audience out to share Guthrie’s music with the world. Baez sings both “Hobo’s Lullaby” with empathy and tenderness, and the band’s support on Odetta’s “Ramblin’ Round” inspires a looser performance than she gave in New York. Country Joe McDonald, who began his solo career the year before with Thinking of Woody Guthrie, sings a rousing version of “Pretty Boy Floyd” and provides original music for the previously unrecorded Guthrie lyric “Woman at Home.” Woody Guthrie’s performance style echoed most strongly in Ramblin’ Jack Elliott’s “1913 Massacre,” and placed back-to-back with Arlo Guthrie’s blues-rock take on “Do Re Mi,” highlights how amendable the songs are to reinvention. The Los Angeles recording is more detailed than the tapes made from the house system in New York, and though it’s musically rich, with Guthrie’s passing two years further in the past, it doesn’t feel as urgent as the earlier shows. Disc three is filled out with interview clips that shed light on Guthrie and the tribute concerts. As Arlo Guthrie recounts in interview, and Lampell echoes in his opening essay, Guthrie had developed a legacy in the ‘30s and ‘40s, but it was the folk revival that really cemented his popular artistic immortality. 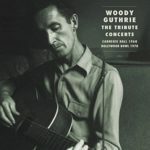 The tribute concerts consolidated the discovery of the revival, acknowledging the original context in which Guthrie wrote, and renewing his songs’ significance by highlighting their ongoing relevance to then-current issues. The shows employed the folk tradition as stagecraft. Arthur Crudup is most widely remembered as the writer of Elvis Presley’s first single, “That’s All Right,” and the later B-side “My Baby Left Me.” But by the time Presley waxed these sides in the mid-50s, Crudup had already quit the recording business in disgust. Crudup was denied a share of the royalties his songwriting and recordings had generated, and after years of subsisting on low wages for sessions and performances, he’d had enough of enriching others. He eventually returned to recording and performing, continuing on into the 1970s, but even with legal help, he was never able to claim the royalties for the songs that had launched others onto the charts. Bear Family’s 28-track collection focuses primarily on the sides Crudup recorded in Chicago for RCA in the 1940s, supplemented by a few early-50s recordings made in the studios of WQXI (Atlanta), WRBC (Jackson, MS) and WGST (Atlanta), and in 1962, New York City. Crudup began recording for RCA in 1941 with a basic session of acoustic guitar and washtub bass, but a two-year-long musicians strike created a gap that stretched from 1942 until the end of 1944. This set picks up with 1945’s “Open Your Book,” with Crudup’s energetic guitar playing backed by drummer Charles “Chick” Draper. The lyrics touched on the phrase “that’s all right,” though it wouldn’t solidify into the title song until the following year. By 1952, Crudup had a new rhythm section (bassist Jimmy Sheffield and drummer N. Butler), and recording had moved to Atlanta, to the studio of radio station WQXI. Crudup’s guitar has a more subdued tone in these sessions, and his vocals aren’t as exuberant as his hottest Chicago sides. He ventured down to Jackson, MS to moonlight for Chess with the juke-joint blues “Open Your Book,” and the push from Robert Dees’ harmonica returned the spark to his singing. He waxed the energetic blues “She’s My Baby” for Champion with a muddily-recorded piano adding a new sound to his records, and he returned to RCA in 1954 where a lack of with hits led to the end of his contract and an exit from recording. Note: to play this collection in chronological order, program 11, 28, 9, 2, 7, 13, 6, 10, 19, 23, 24, 22, 4, 8, 3, 14, 15, 17, 21, 25, 16, 1, 12, 5, 26, 27, 18, 20. Like many of rock ‘n’ roll’s founding acts, the decades have largely reduced the Platters’ memory to their hits – “Only You,” “The Great Pretender,” “My Prayer,” “Twilight Time” and “Smoke Gets in Your Eyes.” But, also like many of their colleagues, there was a great deal more to the Platters catalog than these iconic singles. Bear Family’s generous thirty track collection explores beyond the group’s familiar ballads, and focuses on mid- and uptempo tracks from the Mercury years of 1955-1962. The set’s most rocking tunes, including “Bark, Battle and Ball,” “Don’t Let Go,” “Hula Hop,” “I Wanna,” “Out of My Mind” and “You Don’t Say,” reach back past the pop balladry to the group’s R&B roots; but even the slower songs, including bass vocalist Herb Reed’s interpretation of “Sixteen Tons,” are more juke joint than supper club. But what really animates Bear Family releases, aside from the encyclopedic length of their box sets and booklets, are the obscure singles and unreleased vault finds they bring back to life. 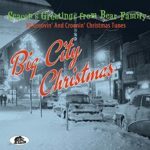 By digging through the label’s catalog of compilations and box sets, the producers have assembled a wealth of Christmas-themed pop, rock, rockabilly, blues and R&B rarities. Highlights include Charlie Starr’s homage to Chubby Checker, “Christmas Twist,” Cathy Sharpe’s rockabilly “North Pole Rock,” the Moods’ original B-side “Rockin’ Santa Claus,” and novelties from the Holly Twins (“I Want Elvis for Christmas”), Patty Surbey (“I Want a Beatle for Christmas”) and Sheb Wooley (“Santa Claus Meets the Purple Eater”). Initially formed in 1993, it took only a few years for BR5-49 to catch on with the Nashville locals at Robert’s Western Wear, score a major label deal with Arista, and find themselves touring the world. This set of country standards, western swing tunes and original songs was performed live on German television in October, 1996, hot on the heels of the release of their debut EP and album. The quintet set up in a cafe setting and ran through a full set for a small audience, just as they had been doing a year earlier in Nashville. As was their practice, the songs were called off on the fly, rather than written out in a setlist, demonstrating not only their deep knowledge of classic songs, but their innate ability to string them together into a rousing program. Their originals (“Even If It’s Wrong,” “Bettie Bettie,” “Hometown Boogie,” “My Name is Mudd,” “Little Ramona (Gone Hillbilly Nuts)” and “One Long Saturday Night”) are nearly indistinguishable from their brilliantly selected and inventively arranged covers of Hank Williams, Harlan Howard, Webb Pierce, Carl Perkins, Gram Parsons and others. More than a decade before Conway Twitty became one of country music’s most prolific hitmakers, he was a pompadour-wearing rock ‘n’ roller, schooled by Sam Phillips at Sun Studios. Starting with 1958’s chart-topping “It’s Only Make Believe,” Twitty strung together nearly two years of pop hits that included “Lonely Blue Boy,” “Mona Lisa” and a bouncy take on “Danny Boy” (all of which can be found on The Rock ‘n’ Roll Years box set, or the more concise Conway Rocks). He turned to country music in the mid-60s, and with 1968’s “Next in Line,” began twenty years of nearly unparalleled chart success. The transition from ’50s rocker to ’60s country star found Twitty and his band the Lonely Blue Boys on the road, playing bars and clubs throughout the country, mixing original hits with covers from blues, rock, R&B and country. The set list features many ‘50s and early ‘60s rock, pop, R&B and blues standards, including Muddy Waters’ “Got My Mojo Working,” Lloyd Price’s “Lawdy Miss Clawdy,” Jimmy Reed’s “Big Boss Man,” Chuck Berry’s “Memphis Tennessee,” and incendiary covers of Elmore James’ “Shake Your Moneymaker” and Bo Diddley’s “You Can’t Judge a Book by the Cover.” The latter finds Big Joe E. Lewis laying down a great bass line over which the sax, piano and guitar solo. Twitty’s talent as a rock ‘n’ ‘roller was overwhelmed by his later success as a country star, but he sings here with real fervor, and lays down several hot guitar leads. Twitty’s 1960 original “She’s Mine” shows a heavy Jerry Lee Lewis influence, and his hit “Lonely Blue Boy” (sung both in medley and standalone) has the unmistakable imprint of Elvis Presley’s growl. By 1964 Twitty was already cutting country demos, and the next year he’d jump from MGM to Decca to record with Owen Bradley in Nashville. His live set was incorporating country material, including Willie Nelson’s “Funny How Time Slips Away,” Hank Williams’ “Your Cheatin’ Heart,” and Bobby Darin’s “Things.” His band still favored blues, rock and pop, but you can hear Twitty’s vocals starting to add country flavor to the bent notes. 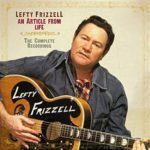 Even more country, his cover of “It Keeps Right On a-Hurtin’” adds a helping of honky-tonk to Johnny Tillotson’s string-lined original, and “Born to Lose” is sung as a blues that fits between Ted Daffan’s 1943 original and Ray Charles’ lush cover. Dolly Parton and Porter Wagoner’s partnership is remarkable even within a genre known for its venerable pairings. At the start of their professional relationship, Wagoner was an established star with dozens of hit singles and a weekly television program, and Parton was the new “girl singer” who had to win over fans of the departed Norma Jean. By the end of their partnership, seven years later, Wagoner’s chart action was winding down, and Parton’s stardom, which had begun its flight during her tenure with Wagoner, was about to go into hyperdrive. Parton said goodbye to Wagoner with “I Will Always Love You,” and lawsuits followed, but their chemistry as a duet was strong enough to survive their separation, with previously recorded material continuing to chart. 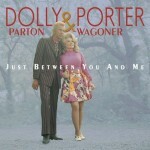 Parton and Wagoner were each artistic forces to be reckoned with. They were A-list songwriters and performers, and the enormous volume of material they recorded together was paralleled by a wealth of solo releases. Early on, Wagoner wrote surprisingly little for their pairings, choosing to showcase Parton’s material alongside that of other Nashville greats and a few adventurous selections, like Dan Penn’s “The Dark End of the Street.” Wagoner’s songwriting contributions picked up in the latter half of their partnership, and the pair also wrote several songs together. One has to wonder if the increasing fortunes of Parton’s solo career directed her original material to herself, and Wagoner was drawn to fill the void alongside his singing and producing duties. Wagoner’s craft was meticulous, and the sidemen he selected included members of his road band (led by Buck Trent and featuring fiddler Mack Magaha) and the cream of Nashville’s session players (including Pete Drake, Lloyd Green, Hargus ‘Pig’ Robbins and Roy Huskey, Jr.). The catalog he produced with Parton is impressive for both its size and uniformly high quality. The songwriting, vocals, production and playing never wavers across the duo’s seven-year partnership, and their commercial appeal lasted from an early cover of Tom Paxton’s folk classic “The Last Thing on My Mind” through Wagoner’s “Is Forever Longer than Always.” Along the way, fans will find the hallmarks of both Wagoner and Parton’s individual material, including the former’s dramatic recitations, the latter’s hard-scrabble roots and both of their religious faith. Duet singing is ultimately more about the chemistry of conversation and the revelation of interpersonal dynamics than about the individual vocalists. Wagoner’s spoken-word interlude gives Parton’s lyric of family tragedy an extra shot of morbidity in “The Party,” and the easy give-and-take of “I’ve Been This Way Too Long” could just as easily be the extemporaneous bickering of a long-time couple. Though neither family nor spouses, the pair sang with the sort of connectedness that marks blood harmonies – and feuds. In retrospect, the spark that brought even the most common romantic themes to life now seems freighted with foreshadows of their bitter dissolution, eventual detente and final emotional reunion. The passing of decades often elides the full range of music that spun on jukeboxes and the radio. The commercial necessities of CD (and now MP3) reissue and oldies broadcasting further reinforce this narrow view with hit anthologies and playlists stocked primarily with superstars. What quickly recedes from earshot are the lesser hits and journeyman artists that made up the full context of the times. Faintly remembered are artists like Nat Stuckey, who regularly visited the Top 40 for more than a decade, but only cracked the top-ten a few times, and indelible acts like The Browns are usually recognized for their sole chart-topper, “The Three Bells,” rather than their other half-dozen Top 10s. Even country music’s superstars, such as Faron Young, Eddy Arnold and Ray Price, had so many hits that the bulk of their work is overshadowed by a few well-anthologized icons. But the true soundtrack of a year’s music is a mix of hits, album tracks, superstars, journeymen, one-hit wonders, chart-toppers, regional breakouts and singles that barely grazed the Top 40. It’s this tapestry that gives a year, an era or a genre its full flavor. Bear Family’s twenty-six volume series Country & Western Hit Parade covers the years 1945 through 1970, one year per disc, interweaving chart classics with a wealth of lesser-anthologized, but equally influential releases. Each disc recreates the sound of its year by placing oft-repeated hits in the company of their lesser-known chartmates, providing context to the former and returning status to the latter.